A little later than intended but here we are. I have been thinking about my Autumn making for quite a few weeks. First up is the tartan I got in Edinburgh. One of my initial impulses was to make a bottle green cardigan to go with it. I haven’t really worn green since school; it’s just not a colour I gravitate towards. But these two were meant to be together. I’m planning on the cover sweater from the current Knitscene. The pattern is only on the front so it keeps the sweater from being too visually heavy I think. 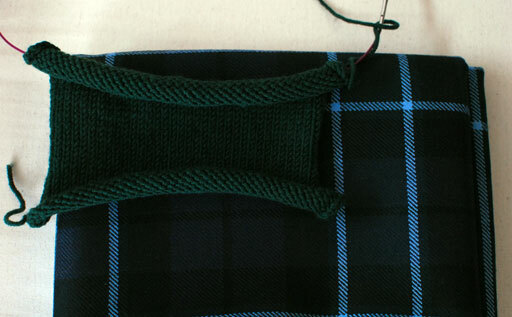 Aside from matching the tartan, I think it will go with a lot of other things I wear a lot, such as jeans, my black wool Clover pants (photos soon! I’m so happy with them! ), my grey wool Ginger, the denim Proper Attire skirt… and so on. 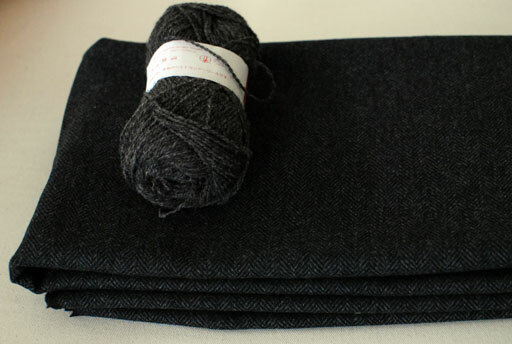 Next is a charcoal herringbone wool I picked up on Saturday for a pleated skirt and a steely-coloured Jamieson & Smith shetland wool. The top I’m planning on is Biston from the new Brooklyn Tweed release. It’s the kind of cardigan or shrug that will go over pretty much anything. I imagine this shrug will be something I reach for to go with the grey Ginger, my grey wool dress, the black wool Clover pants, and I imagine it would look pretty good over skinny jeans and boots. I love the wool so much that I am debating getting more for a winter jacket. The last few winters, I have hunted for a well-fitted wool jacket and failed. Oh, they exist but not in my price range. And there’s the thing where if I did pay something like €300 for a jacket, would I be brave enough to wear it? A jacket in this wool is a significant investment of my money and time. It would cost me in the region of about €90 to make, including a silk lining. I am interested in a more long-term tailoring project and am willing to take every precaution to guarantee a successful outcome… should I go for it? What do you think? So, over the last month or so, I have taken advantage of sales and bargain bins to accumulate some stash for autumn sewing. It looks like a monstrous pile but they’re all folded up so don’t judge! – Almost invisible black cord. It was €6/m on sale in Hickey’s and because it was the end of the bolt, I got 3m for €15. Not sure how that works but it’s good enough for me. Destined for wide-legged pants (I’m thinking Juniper from Colette) and hopefully some sort of skirt from leftovers. – More charcoal-black wool, the same I used to make my Clover pants from. 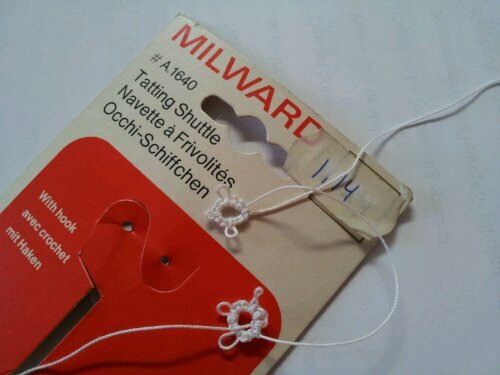 These are for pants for my mum. Again, it was the end of the bolt so I got an extra 75cm for free. – Olive cotton drill. At a ridiculously wide width, I paid something like €7 for about 1.25m and shall have another pair of wide-legged pants. – Blue polycotton and white cotton poplin for blouses. These are deep stash resurrected since I have no plain blouses. This situation is currently in the process of being corrected. – A smidge of green silk from Rubanesque. I want a posh, simple top with cap sleeves for playing/working/going out. – .75m olive green cord, 150cm wide so enough for a skirt. Bargain bin at the Cloth Shop, something like €9. I’m thinking of maybe the Moss mini skirt but we’ll see. – That’s actually a big white sheet that got mixed up in the laundry and then tidied away. Such is the extent of my tidying. – On the very top is another Violet blouse in a navy polycotton with a white poplin collar. You may notice an emphasis on plain! There are few white or solid-coloured blouses in the queue. Also, I realise I need some comfortable-yet-respectable clothes for being at home, hence the two pairs of wide-legged pants. I can’t wear tracksuit bottoms anymore, I hate them. 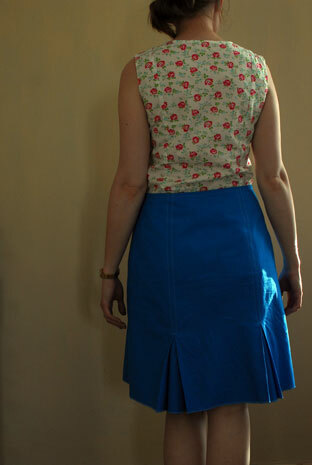 Lastly, here’s a quick shot of a navy wool/cashmere Ginger skirt I knocked together since the weekend. It was €17 a metre, I bought two and with some cautious cutting got this skirt and another pair of Clover pants out of it. This is my third Ginger skirt so it didn’t take me very long at all. 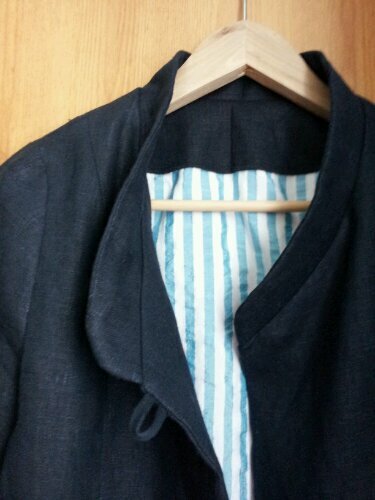 I hope to get proper photos of it soon; the drape of the fabric is just lovely. I do not know what the word is when you have multiple pairs of shorts. Specifically, I have two pairs of shorts. Is it correct to say that I have a pair of a pair of shorts? Let me wander out of this endless loop and show you these. The denim is about .75m of leftovers from this skirt. You may recall I came by an affordable quantity of it at the last K&S show. I think I have gotten good use out of it. 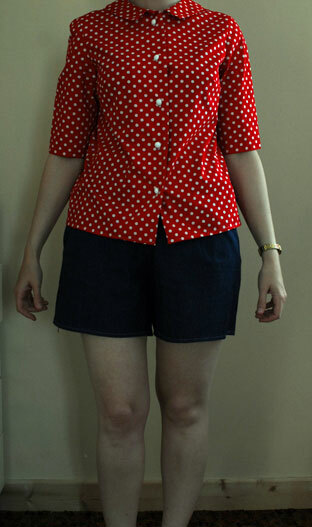 I know I showed these before, but I wanted to show them with the red polka dot blouse. How I love this blouse! It is so much fun. I used leftovers to make the pockets so I get a funny kick wearing the two together. I’m sad like that. Here is the other pair. A metre of cotton from Murphy Sheehy’s for maybe €8. The pattern is my old reliable, Burda 6/11. My best pair yet, I think. 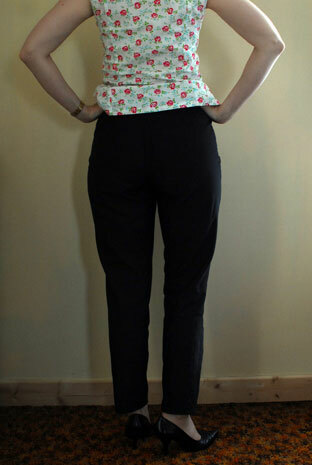 I made the legs longer by 10cm which turned them into a slightly more all-purpose garment. I wore them for much of the summer and especially in Switzerland. They are so comfortable. The top is the Jasmine blouse I talked about here. Ah, the famous Clover pants. I was sceptical. I love the idea of cigarette pants but on me? Really? I had a long wad of fine charcoal wool and dreamed of a pair of my own. In my dreams, they were perfect. In reality, I made a muslin. 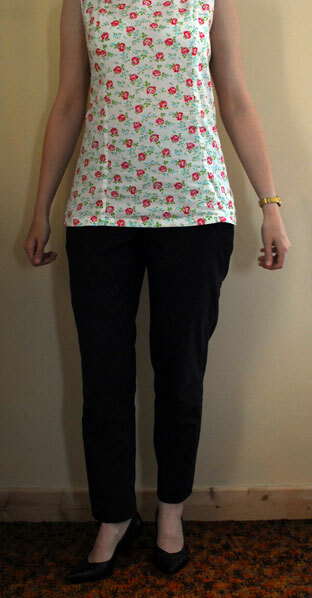 Pattern: Clover by Colette. 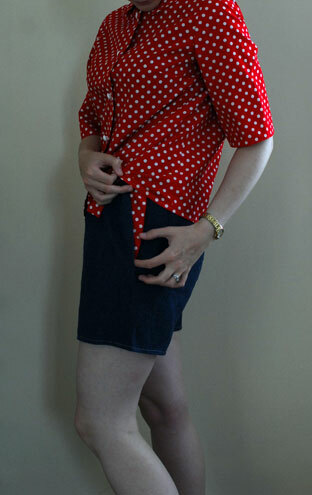 Pictured with the Pendrell blouse by Sewaholic (discussed in better detail here). Fabric: Black polyester found in the bargain bin at Murphy Sheehy’s for €5. There was enough to make a muslin of the Porfolio pants too. I studied the pattern measurements, my own measurements and the pattern pieces. In the finish, I traced a size 6 waist, between the size 8 and 10 for the hips and then a size 8 leg. It turned out to be too much for the hips; the curve was too great and my zip stuck out. 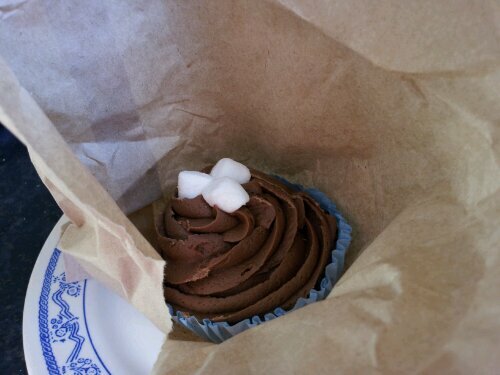 Tapering it back solved everything. I needed to let out a scant half an inch between the legs – a peculiar adjustment considering I’d needed to take it in in almost the same area – but such are ones’ personal lumps and bumps. I cannot express to you my wariness of this style of pants. I did not own anything like it or ever see anything I liked in a shop, so why should I sew it? How could I wear it? I did a little experiment and before making a decision on using my precious charcoal wool on a pair, I wore them about the house for the summer. I expected some things, such as satisfaction with the fit and dissatisfaction with using polyester! But others, I was not prepared for at all. I was not prepared for the fact that wearing pants like these make me want to wear my most favourite shoes. And then spend time debating which pair is my favouritest pair. I was not prepared for how proper these pants could make a simple knit look like the most elegant thing in the world. I was especially not prepared for how they would make me want to wear bright lipstick, no matter what the time of day, even if I hadn’t had breakfast yet. I cannot explain it, this spell, and yet it does make sense. For if clothing is costume, a simple thing we don every day, can’t we use it to alter not who we are, but how we are? It has turned decidedly autumnal here this week; I become a little bit more nostalgic for summer with every one of these outfits I post. This one’s a good’un though. 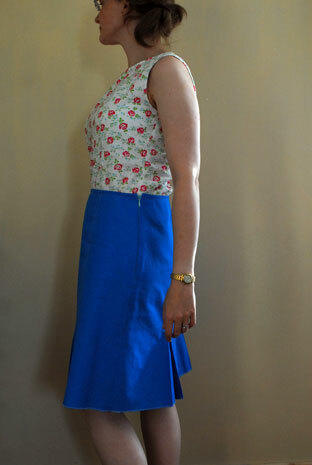 Patterns: Another Lisette Market skirt (Simplicity 2211) and the Sewaholic Pendrell blouse. 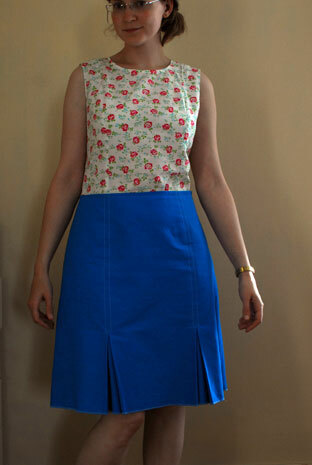 The skirt I made in the next smaller size and it fits perfectly. As you’ll notice, I left off the tabs and buttons and I didn’t even hem it. I just zig-zagged it. The pattern has the option to not put in the pleats and I think that if you wanted a simple pencil skirt with a little weekend feel to it, this is your one. About the Lisette patterns for Simplicity: I’m in the process of making up my fourth pattern from the line and they’re really great. 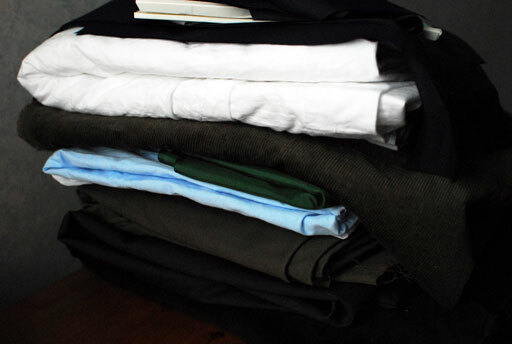 Apart from the Market skirt and blouse, I have made a muslin of the Portfolio pants (I’ll write more about that in a separate post) and am currently making up the Passport jacket. See all the patterns here. They hit the right level for me right now with little challenges that are manageable. However, I’ll say this – the fitting across the shoulders is quite narrow. As someone who constantly has to adjust this aspect in patterns, it’s brilliant, but not for the more normal-shouldered amongst us. In the Market blouse, the Passport dress and now in the Passport jacket, I haven’t had to adjust the fit across the shoulders at all. I’m sorry! I digress! 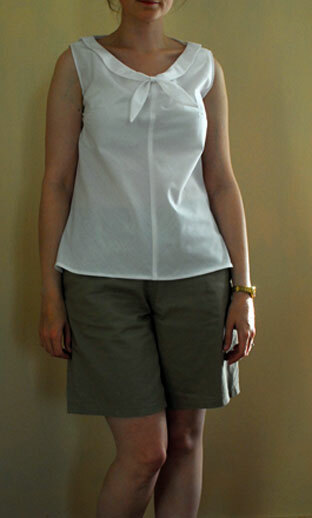 The blouse is the most basic view of the Pendrell. I think I made the size 2 and it fit almost perfectly. I took in the princess seams above the bust by… half an inch each, I think, to accommodate my narrow shoulders. I made a muslin first and worked out the adjustment. Then when I made it up, I was able to french seam the whole thing and take into account my adjustment. It was pretty easy. The fabric is the souvenir cotton I picked up in Edinburgh, I used about 1.25m of it with enough leftovers to make some pretty hankies. I didn’t realise at the time I bought it but the print has a most useful, delicate palette – blues, greens, reds and pinks. It will match pretty much anything. I have nearly all of my autumn/winter sewing and knitting planned out but am still figuring out the best way to show it here! Trousers are up tomorrow. Stay tuned.